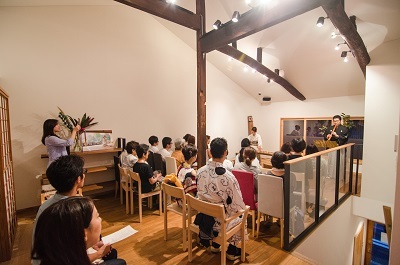 A shop in “Machiya (townhouses)” is located five minutes’ walk from LST Wedding. It sells made-to-order and ready-made furniture and other items made of solid wood. 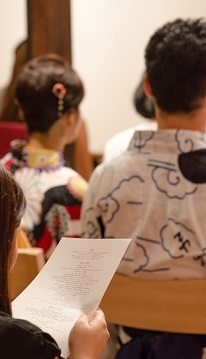 Some guests were dressed in kimono, and there were travelers from France and the U.S.A. The arrival of Autumn can be felt in the evening recently. 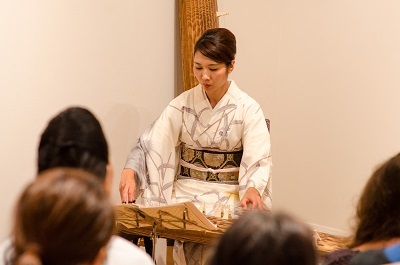 We held a concert of “Koto and Shakuhachi (Japanese harp and flute)” at LST BOTAN on 21st August. We got many guests in spite of week day night. The music played were classical “Rokudan-no-shirabe”, contemporary “Kibitaki-no-mori” and “Etupirka” by Taro HAKASE. 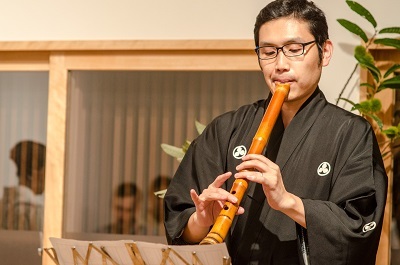 The sound of koto and shakuhachi was reverberating through the “Machiya (townhouses)”, a traditional wooden house of Kyoto. There will be an exhibition of wonderful textile by “Kanon” in September. We would like to keep providing goods, space and time to make your everyday life better. Thanks so much for all those who came to the concert!